Hi - Corbin speedometer on '47 works, but the odometer part is shagged, and having taken it apart although all the parts are there they're rattling about inside and someone's stuck the 2 of the mileage 'disks' onto the back of the face so it looks the part, but is static! Goggling things it seems the name 'Terry Marsh' keeps cropping up as the main man for this sort of thing, but I can't find contact details or an email anywhere. Or is there anyone else? It also seems parts are available, so plan B is a DIY fix if there's any 'how to rebuild' information publicly available. If there's anyone in the UK that would be even better, but I'm guessing it'll be US only on a Corbin unit. Terry Marsh is in Klamath Falls, Oregon & is THE man for Corbin speedos. note: Terry Marsh is a member of this forum. search his name for contact info. On my 53 Chief, I have a later version of the Corbin speedometer, but mine doesn't have a maximum hand. I do my own work on it, so I can't help with who fixes the earlier Corbins or the maximum hand issues. The later Corbins did offer a maximum hand - mainly for Police service. I'm sure that somebody is in the Corbin fixing business, but that work isn't easy or inexpensive. 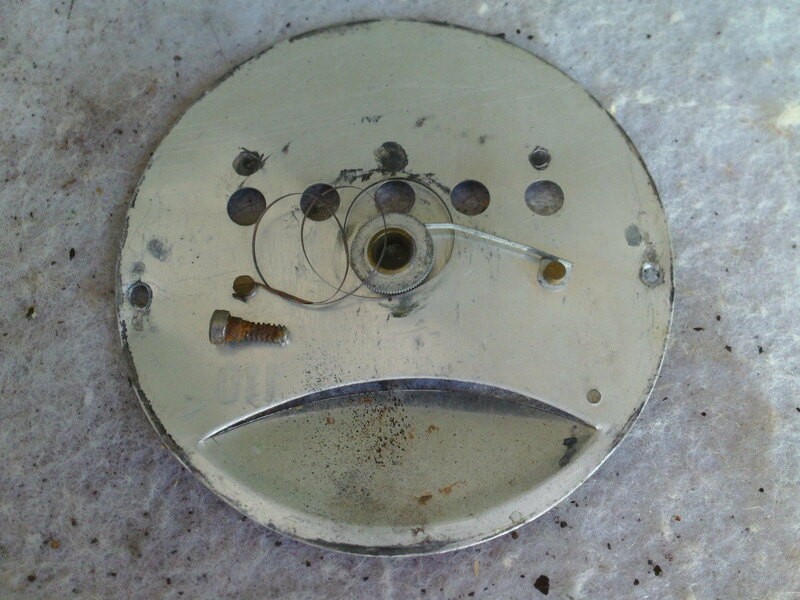 The work is similar to what a clock repair person would do. Hopefully someone will share the names of qualified businesses that do repair work. The earlier Corbins with the disc odometers are notoriously difficult to work on, and good working units bring a premium price. When it comes to the maximum hand speedometer face, the clue to tell if the face ever had a maximum hand are the rivets at the '20' number and the '100' number. If there are no rivets or holes for the rivets, the face never had a maximum hand. With the maximum hand speedometer face, there is a clock-type flat spring on the speedometer face backside that pulls the maximum hand back to its starting point when the external button is pushed. 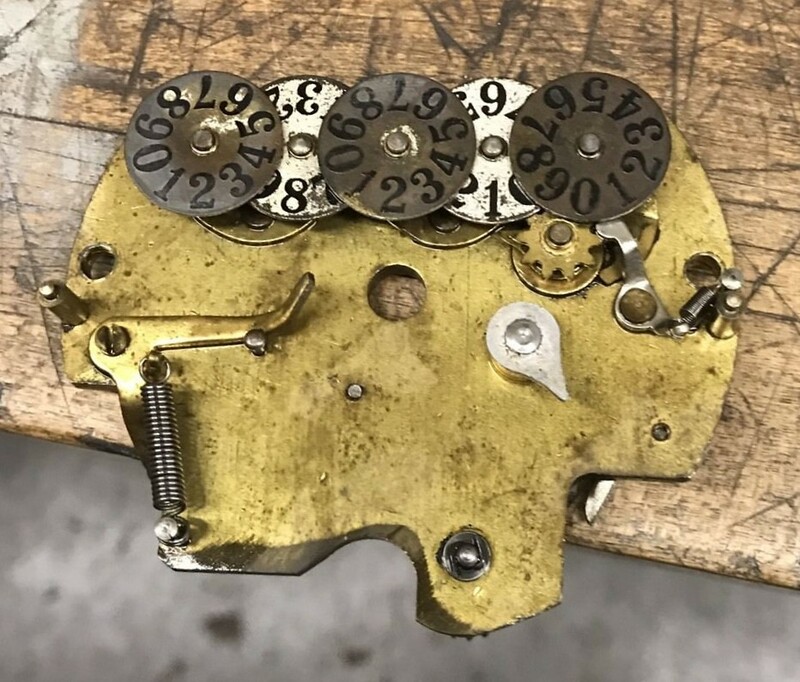 For the external button to work, there has to be a pivoting lever inside the speedometer mechanism. It is possible to switch internals such that the external button remains, but the pivoting lever isn't there. If the reset button is there, the speedometer probably did have a maximum hand originally, as resetting the maximum hand was the only purpose for that button. Earlier Corbins has the option for an trip-odometer - which had a reset button the right side. That story is move complicated than the maximum hand story. As far as I know, the last year the trip odometer was offered was 1945. Over the years, many speedometers have been monkeyed-with, and it is hard to tell what happened when. 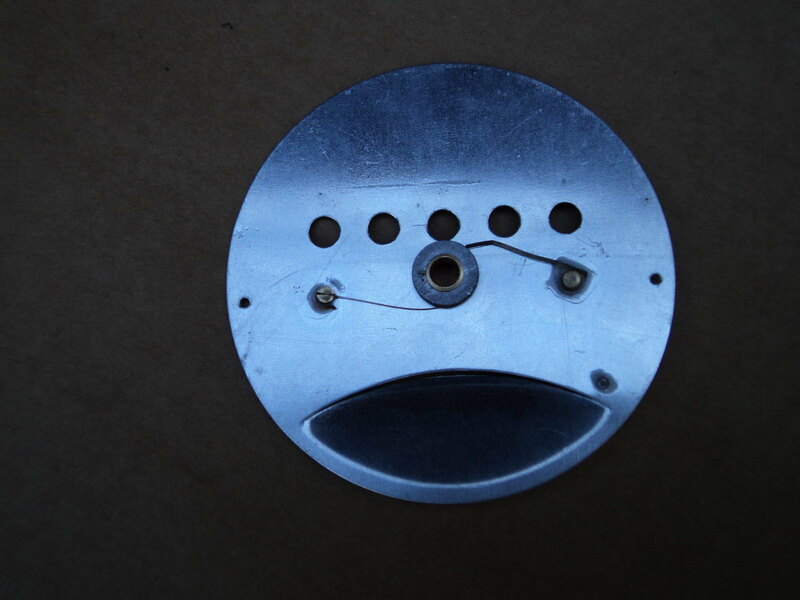 Below are the front and back of an original 1946-47 Chief speedometer face that had a maximum hand, and also the front and back of the available reproduction. 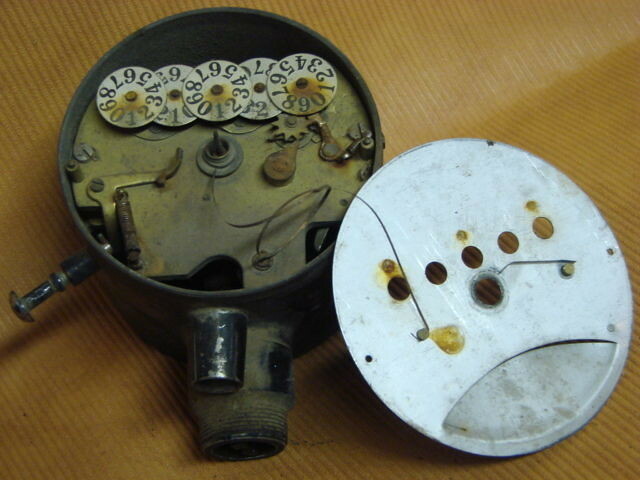 The last photo shows the internals of a Corbin speedometer that has the pivoting lever which is required to reset the maximum hand. Removing a speedometer face requires removing the speedometer needle. There are pullers available that will help with that job (after the nut is removed), but if you are lucky, a little pulling on the needle hub will release the needle. One must be careful, as the needle shaft is not all that sturdy. One place that offers parts and possibly service is: http://www.speedoshop.net/ The guy's name is J. Napierala. I'm not recommending this source as I have no experience with the business, but it is given as one possibility. There is a book called 'The Corbin System' by Doc Schuster. That book does have some interesting historical information, but is not exactly a step-by-step manual on how to fix your Corbin. Copies of that book are out there, but can sometimes be pricey. 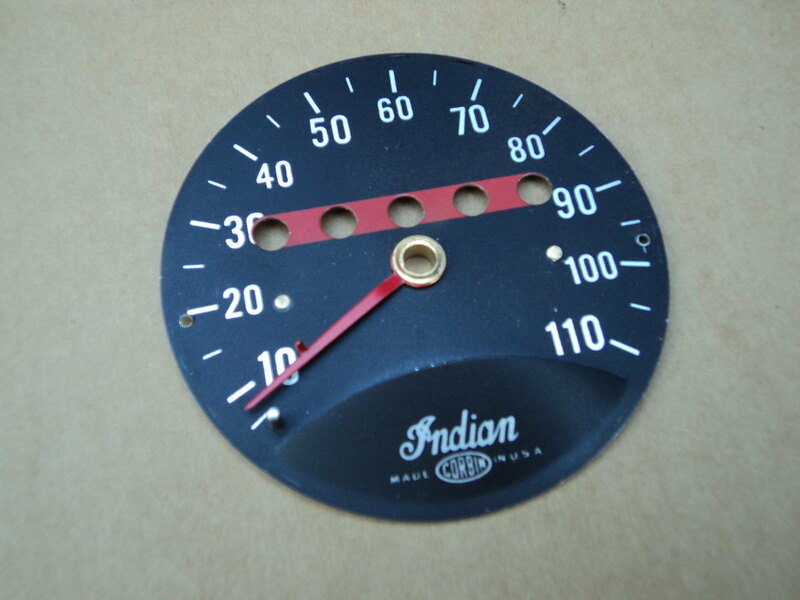 Of all the units on an Indian that are difficult to repair; the speedometer is probably #1. The ammeter and generator/regulator are #2 and #3, though the ranking may change based on just what is wrong. Good luck with your speedometer. I dug around in my old emails, and I found this for Terry Marsh: TERRY D MARSH <marsh1915hd@msn.com> I'm not sure the contact information is still current. Thanks for the info. Dial face does not have the extra rivet holes, so I assume no max-speed hand. So what's the reset button on the case for then? Unless it's a replacement dial face and the speed tell-tale mechanism has gone awol? Here's what I have semi-disassembled. I took the drive shaft to the odometer gears out as the gears seemed jammed/locked and I didn't want to cause any more damage since at least the speedometer part works. Terry has done two Corbins for me and did an amazing job. I will not post what he charged me, but I will tell you it was very reasonable for what he had to do and worth every penny. He also communicated well throughout the time he had them and even sent me pics of his work along the way at my request. Terry Marsh is one of the treasures of this old motorcycle hobby. I agree, Terry Marsh is a stand up gentleman and does great work if you choose to go that route, recommended. I do see extra holes in your speedometer face, but I don't see the needle stop pin, so I'm guessing that your speedometer face is a reproduction starting point, but was never made fully functional. 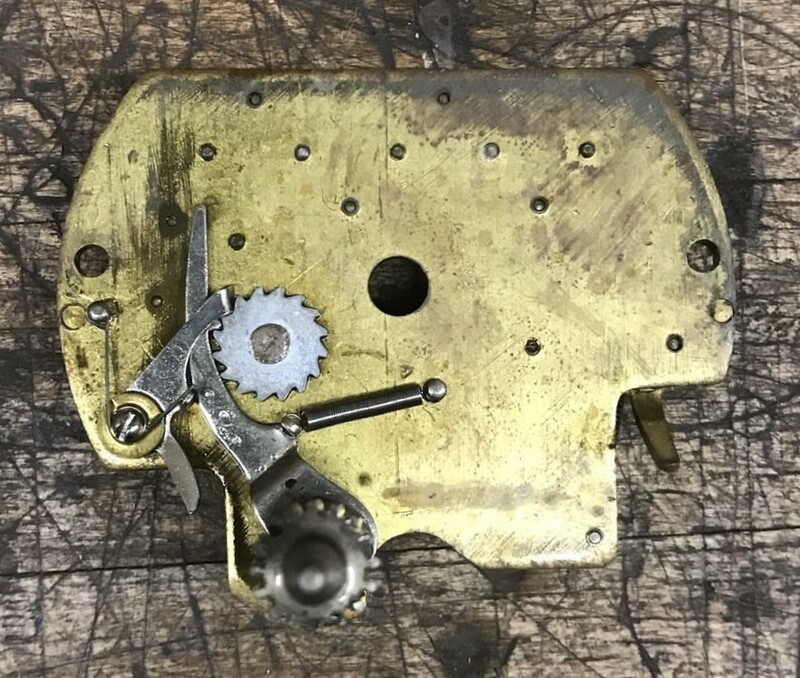 I do see the maximum hand pivoting lever on the main speedometer brass plate, but the spring for the pivoting lever is missing. I'm guessing that rust has had a negative influence on your speedometer. 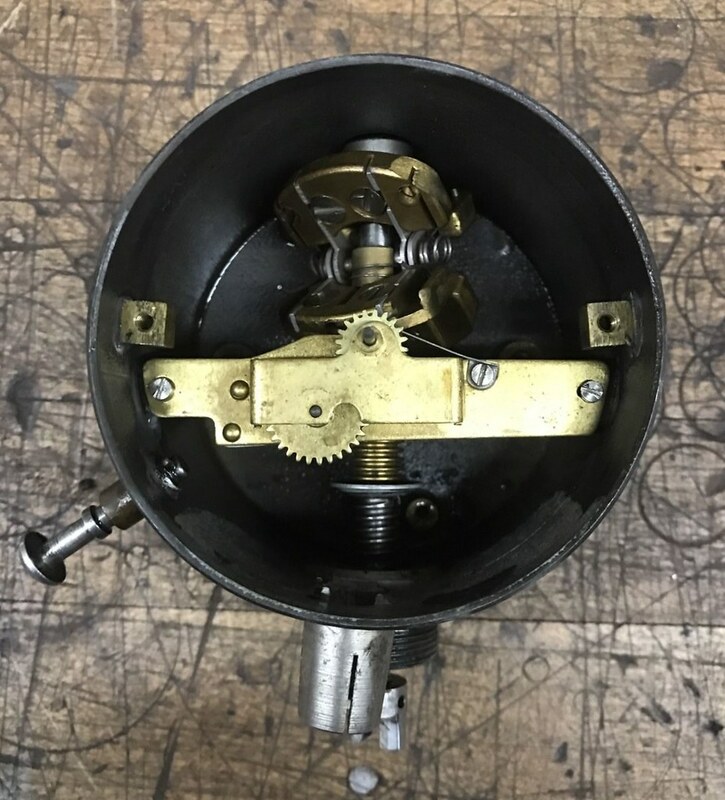 Luckily, much of the speedometer mechanism is brass, making it less susceptible to corrosion than steel. To my eye, it looks like your speedometer is repairable, but it is probably best left to a master, and based on the other people's comments; Terry Marsh is the man. 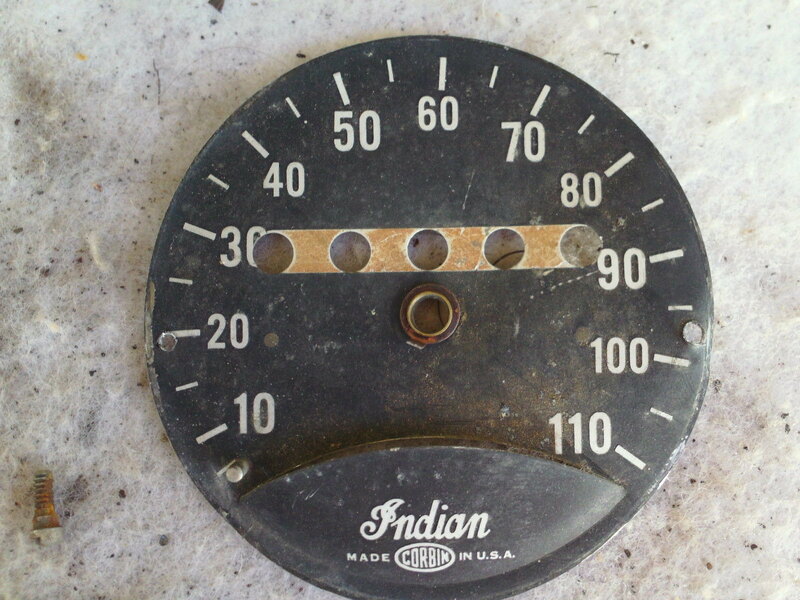 Below are photos of a speedometer like yours, that is in very good condition, and is about as good as they get. The glass speedometer face cover commonly becomes broken for various reasons, and then water gets inside the speedometer. Once water gets into the speedometer, it is only a matter of time before things start to deteriorate. It does look like your speedometer originally did have a maximum hand, and I hope the repair process goes well for you.